The Venture Zelix is a very surfy all mountain board that combines a lot of freeride and all mountain qualities we like from both worlds. We loved the Helix and always wished it came with a set back stance to cover a wider range of riders. Well they kept the shape of the super stiff Zephyr, the flex of the Helix and made a new board called the Zelix. It feels stiff between the feet, buttery in the tip/tail, surfy in powder and still fun in the park. It’s fun to turn too and my only personal gripe is that it didn’t lay out really rewarding hard carve but for most that isn’t a big deal. The Venture Zelix was out of commission in 2016 but back in 2017 and 2018. The 2015 Venture Zelix is pretty similar to the 2014. Conditions: Pretty hard snow with some loose snow here and there. On Snow Feel: Very stable but not catchy. It has a nice balance between forgiving and aggressive. We loved the Helix over the years but never felt the Zephyr was our thing. Also the Helix felt like an all mountain board trapped in a twins body. It was nice to see this change up to make this a very versatile all mountain to even borderline freestyle board. Even though there is a minor taper of about 5mm it has a feel like you are riding a directional twin which is good. This board is really at home on wide open groomers and really makes the mountain feel fun. Powder: No powder to speak of but how could this not be good. It’s got a slight taper, a 20mm set back on side cut, more set back on board when all the way back and rocker in the nose. It should be a quick and easy board that is fine in trees, tight chutes and wide open faces. It should definitely get a little surfy. Turn Initiation and Carving: Very quick edge to edge but you need to know more what you are doing to make it quick. Generally I prefer moderate turn initiation like this so it was a fun board edge to edge for me. Usually Flat to Rocker boards don’t offer much in terms of a carve but this did better than expected. This is one of the better flat to rocker boards I layed into a carve on. It didn’t spring out of the turn and provide a lively carve but it held without washing out and that’s all you can ask for with a flat to rocker ride. I usually don’t expect much from flat to rocker boards so I think I’m looking at this more with a glass half full perspective. Uneven Terrain: When I came across some bumpy bad snow I thought this would be worse but it handles it no problem. Even without the cushy Diodes I was on this seems like it would be fine. It seems like it would bust through chunder on a powder day though. Edge Hold: Really solid edge hold. I asked the designer about why his edge hold is so good because I don’t’ see any bumps or extensions. He just shrugged his shoulders like a classy humble guy and said nothing. Another employee next to him said he just blends a multi radius side cut really well. I agree. This holds like many of the other boards with bumps and waives in the side cut. Never had a problem holding a good edge in the harder snow I came across. Is it an ice specialist? No but it’s good in most conditions you want to ride. Flex: Felt medium/stiff but the rocker in the nose and tail made it easy to butter than you would think. Switch: It feels almost like a directional twin riding switch and it borders on great when it comes to riding switch. It’s not the best but very doable. Jibbing: Didn’t even try with this stiff flex. Seemed like it could easily buck you. . Pipe: Pretty fun pipe board and even though there isn’t a lot of camber it drove from wall to wall well. Jumps: Nice snap off the tail for an ollie and it felt light and springy for a board without any camber. It’s not super lively but much more than what you would expect for flat to rocker. 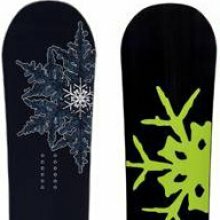 What few jumps I hit in the park were fun and easy with this board. 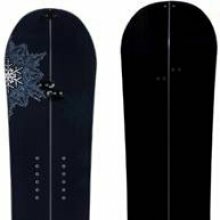 Its one of those flat to rocker boards that offers a great experience on the mountain. It would be wonderful to see some camber between the feet but hey this flat to rocker is one of the best I have experienced in the all mountain category. We try to get as many images of the Venture Zelix, but forgive us if they're not all there.